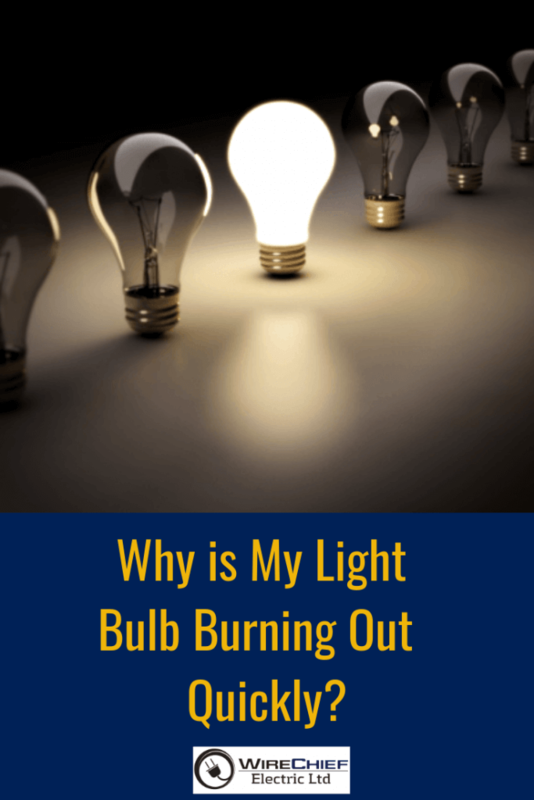 Why is My Light Bulb Burning Out so Quickly? If you’ve ever experienced the saga of a light fixture that constantly burns through bulbs, you know how annoying it is. The good news is that usually there is a very simple solution. If you think that your bulb is failing due to faulty wiring in your home, call a certified electrician to rule out any electrical issues. Bulbs that are under lots of vibration are prone to early failure. This is usually seen in ceiling fans, garage door lights, or below a particularly active room like a child’s playroom. Solution: Get light bulbs labeled “rough service” that have thicker filaments to handle more vibration. Another option is to switch to LED light bulbs, which are not affected by vibration since they don’t have filaments. Like many things in life, you get what you pay for. The package of light bulbs at the dollar store may look like a great deal, but be ready to change them often. Solution: Buy quality light bulbs from trusted brands and suppliers. If the light bulb gets too hot, it can significantly reduce its lifespan. A lot of things can make a light bulb burn too hot: Voltage fluctuations, wattage limitations, or being in an enclosed light fixture can cause overheating. Certain types of halogen light bulbs may overheat when touched with bare hands because the oils from your fingers create hot spots on the light bulb. Don’t believe that since LED bulbs don’t get as hot as incandescent light bulbs that you don’t need to worry about overheating. in contrast, LED lights stay cooler due to of a built-in heat sink in the base that draws heat away from the LED light bulb and into the environment. In an encased area, there’s nowhere for the heat to dissipate. Solution: If your bulb is enclosed within a light fixture, ensure it is rated for use in enclosed or recessed light fixtures. When managing halogen light bulbs, wear gloves or something like an old t-shirt (the packaging usually say if it is the type that should not be touched with bare hands). If your light bulb is overheating, change to a light bulb with a lower wattage, and make sure that you are using the right voltage, especially in low voltage light fixtures. This problem almost exclusively applies to compact fluorescent light bulbs (CFLs) and fluorescent tubes. The method used to initiate fluorescent lights requires an initial surge of current, which over time degrades the light. 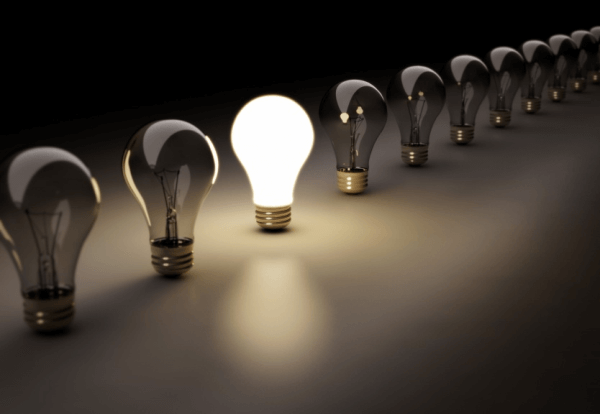 If you’re turning the lights on and off several times a day, you’re going to burn through CFL bulbs faster. Solution: Opt for LED or incandescent light bulbs in light fixtures that get a lot of use, like bathrooms and kitchens. Stay away from using CFL bulbs with motion sensors. If you look directly at a standard light fixture socket, you will notice a small brass tab that depresses when the light bulb makes contact. When you screw in a light bulb too firm, the brass tab can bend too far and flatten, disrupting the contact required to power the bulb. Solution: Verify that there is a 20-30 degree angle on the brass tab at the base of the light socket. Twist the bulb in until the light comes on, after that just 1/8th of an inch more. The average rated life of a bulb means how long it took for half of the light bulbs to fail during testing (in perfect conditions). If your light bulb lasted 12,500 hours but the label stated an average rated of life of 20,000 hours, you’re in fact still within range of an acceptable life span. 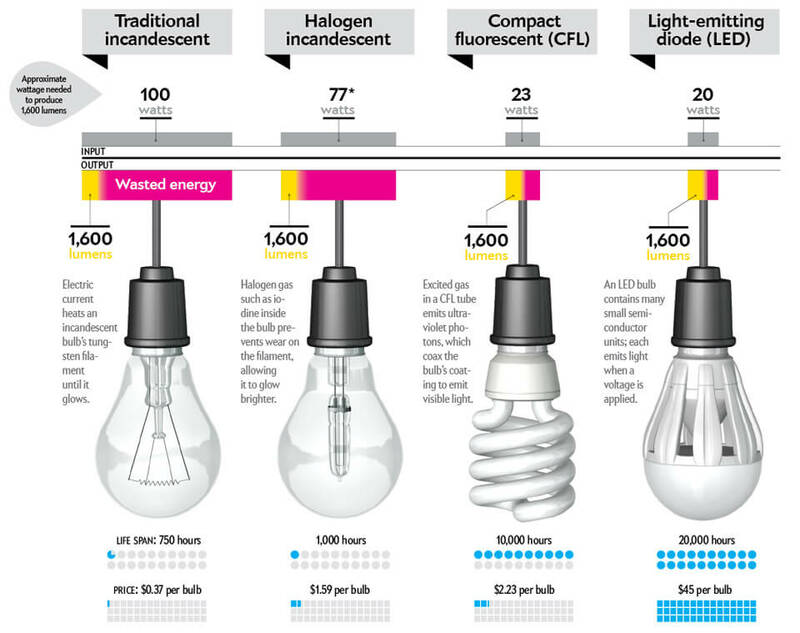 LED light bulbs are measure a bit differently since they never exactly burn out, but rather fade over time. Instead, the Lighting FactsTM label shows LED lumen maintenance (LM), which is an estimation of the bulb’s lumen depreciation over a certain time. Solution: Understand that the projected lifespan of your light bulb is simply an estimate based on testing that was done in a controlled environment. When a light bulb burns out sooner than that estimate, it doesn’t always mean something is wrong with it. If your light bulb fails sooner than it should, there is a probability that it’s still covered by the manufacturer’s warranty, so check with your supplier. Finally, don’t just toss those burn out light bulbs, be sure to recycle them in a proper way. Check with your municipality. Again, If you believe that your bulb is failing due to faulty wiring in your home, call a certified electrician to rule out any electrical issues. We are a licensed Vancouver electrician, call us at 604-229-2630 for any electrical issue that you may need help with.